Keyspan has announced it has started shipping the TuneView for iPod. 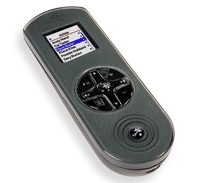 The TuneView is a 2-way RF remote control with a color LCD screen that lets you browse and fully control your Apple iPod. Connect an iPod to a stereo or powered speakers using the audio line out jack. Connect an iPod to a TV using the S-Video jack. Charge an iPod from an AC outlet using the USB Power Adapter. Sync an iPod with iTunes running on a PC or Mac with the TuneView Dock. 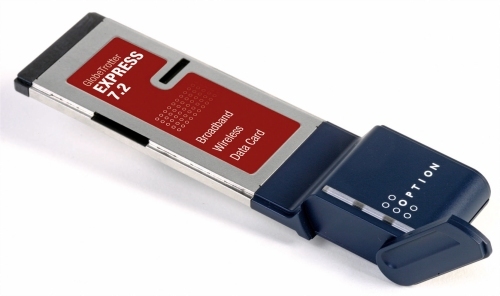 The GlobeTrotter EXPRESS 7.2 is a new wireless data card from Belgian wireless technology company Option. The GlobeTrotter is a multi-band, multi-technology receiver and the first slimline ExpressCard design (34 mm width) from Option. Scanning networks for HSDPA, UMTS, EDGE and GPRS, the GlobeTrotter EXPRESS 7.2 will keep you on the fastest possible connection in nearly every country worldwide. The card features dual-antennae Advanced Receiver Technology to sustain faster and more stable connections in larger coverage areas. The card will work with HSDPA 3.6Mbps networks and can be boosted to 7.2 Mbps HSDPA networks with a firmware upgrade. Backward compatibility ensures HSDPA connections at lower rates of 3.6 Mbps and 1.8 Mbps and UMTS connections up to 384 Kbps. Option is currently sampling the GlobeTrotter EXPRESS 7.2 with initial shipments to primary network operators scheduled for January 2007. Belkin has announced the availability of some new accessories for the Zune digital media player. The accessories include an FM transmitter, backup battery pack, and a variety of different cases. 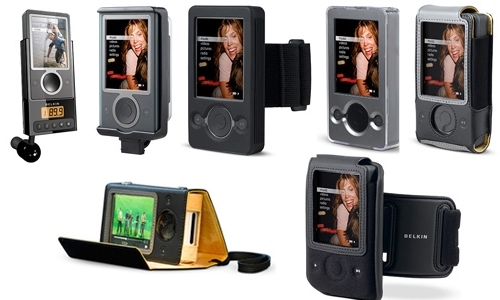 The accessories take full advantage of the Zune player’s landscape viewing mode to give you hands-free viewing of your Zune. 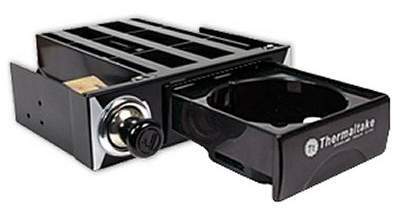 The TuneBase FM Transmitter for Zune ($79.99) features a built-in FM transmitter with three programmable memory presets. The transmitter allows you to wirelessly connect to your car stereo on FM channels 88.1 MHz – 107.9MHz. The transmitter includes an LCD display with backlight that displays FM frequency and memory selection. The TuneBase will also position the Zune in either portrait or landscape mode. Bluetooth headsets are no longer just for cell phones. Sony Ericsson has announced the release of the Bluetooth VoIP HBV-100 Headset kit. The Bluetooth VoIP kit allows you to make handsfree VoIP calls with your PC. 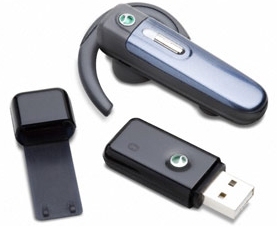 The kit consists of a Bluetooth headset, a Bluetooth USB Adaptor, and a standard charger. The USB Adaptor plugs into your PC (running Windows XP) and requires no complicated installation or configuration to work with most internet telephony software. Once installed, the adapter connects with the HBH-PV705 headset to allow you to communicate wirelessly. The headset requires the Windows XP operating system. Headset talk time with Bluetooth phone is up to 12 hrs with standby time up to 300 hrs. The Bluetooth VoIP kit HBV-100 is expected to be available in late December 2006. 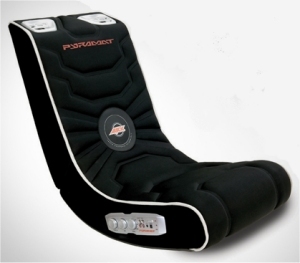 The Pyramat Wireless Sound Rocker is the perfect chair for those gamers needing a little more intimacy from their video games, movies, and music. The sound rocker chairs feature speakers that help fully immerse you into your favorite media. With booming bass and clear sound, you will hear every footstep, and feel every explosion, punch or gunshot. The S2500w (pictured) utilizes a FM wireless transmitter to beam sound wirelessly up to 20 feet. A 5.5 inch subwoofer in the back of the rocker puts out 30w of bass that sends vibrations right through you. The chair also includes two full range ARX high performance speakers to create a personal surround sound effect. 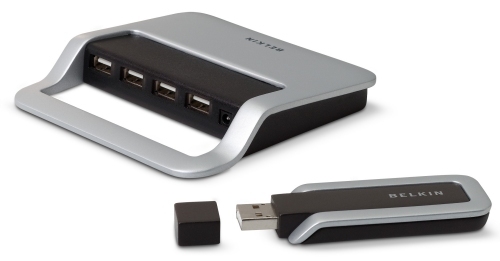 Belkin recently announced that their Cable-Free USB Hub will be available for purchase starting in mid-December. According to Belkin, the hub is the first Ultra-Wideband (UWB) product on the U.S. market. Utilizing Freescale’s Ultra-Wideband (UWB) technology, the Belkin Cable-Free USB Hub gives you wireless connectivity to your USB devices. UWB solutions promise to provide higher data transfer rates, low cost, low power consumption, and less interference. The Hub is positioned to give PC users with many multimedia-centric products the freedom to place their USB devices anywhere in the room without running long cables. The hub connects up to 4 high or low-speed USB devices from up to 30 ft. away. The HotSeat Video Gaming Chassis is about as close as many of us will ever come to a real cockpit. Fully capable for pilot training and upgrade training, the HotSeat Flight Sim is a complete gaming chair that works with many different gaming platforms. 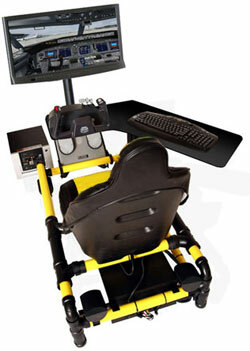 You just supply the flight controls, monitor, and PC, or allow HotSeat Chassis Inc. supply it for you. The HotSeat chassis is made from welded steel tubing and high-grade aluminums that will stand up to the most extreme gaming conditions. The adjustable sliding seat accommodates gamers from 3′ tall up to 6’6″ and folds into a clamshell for easy storage and transport. The chassis includes a durable, welded steel pedal mounting system that will firmly hold your pedals in a lifelike driving position. 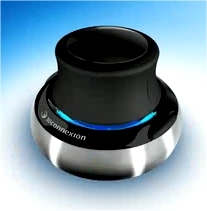 3Dconnexion, a Logitech company, today announced the addition of SpaceNavigator and SpaceExplorer to its line of 3D navigation devices. SpaceNavigator is an entry-level 3D navigation device designed for students and enthusiasts looking to take advantage of 3Dconnexion’s support of more than 100 of today’s 3D applications such as Google Earth and Google SketchUp. The SpaceNavigator support of Google Earth allows you to instantly circumnavigate the globe, hover or move up and down like a helicopter, or fly through cities and canyons with precise control. SpaceNavigator also supports Google SketchUp which allows you to model nearly anything such as buildings, appliances, cars, or even people in 3D. SpaceNavigator features two programmable buttons that allow you to perform common actions quickly. The device recognizes each new application and adapts the behavior of the control cap and button assignments automatically to free you from the repetitious steps. 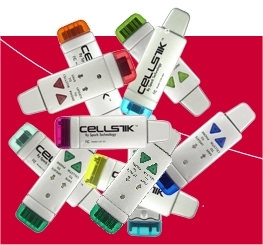 The CellStik is a small USB device that allows you to backup, enter, edit and transfer contacts to and from your cell phone. This little device could come in handy should you lose your cell phone and all your critical phone numbers with it. CellStik comes with the CellStik Central PC application which is where you add, delete, and edit your cell phone contacts using your full-sized PC keyboard. This will save you the hassle of entering in all your names and numbers using the keypad on your cell phone. The current version of CellStik is strictly for backing up and transferring your cell phone contacts and does not work with photos, ringtones, games, or calendars. Solio is a handy universal power charger that is powerful enough to charge all of your handheld electronic products from smart phones and MP3 players, to digital cameras, game players, and GPS devices. Solio can take a charge from either the wall socket or the Sun and store this energy within the Solio’s internal battery. The internal battery takes 8-10 hours of direct sunlight to fully charge and can store enough power to charge a typical cell phone or an iPod Nano at least two times. The fan-blade design allows it to achieve maximum surface area for sunlight, yet fold up to conserve space when packed. If you thought you have seen every possible accessory for your iPod, think again. This is the earBuddy, a hard carrying case for you iPOD ear buds. It comes in the pictured orange and silver, or in a plain black. This little case has a specialized form inside the case to hold the iPod earbuds in what seems like the smallest area possible and still get everything inside. It has a detachable keyring and the case can withstand up to 200lb of force. The white earbuds that come with he iPOD are an unmistakable indicator of an iPod owner, and this case will keep them organized and protected for a long time to come.